Simpson in THE NAKED GUN: FROM THE FILES OF POLICE SQUAD!. O.J. Simpson was born on July 9, 1947 in San Francisco, California. Orenthal James Simpson is O.J. Simpson's birth name. He also goes by the nickname "The Juice". O.J. Simpson won the Heisman Trophy in 1968 as a halfback for the University of Southern California. He went on to have an excellent career as an NFL football player. 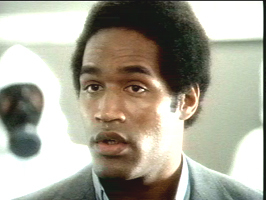 Playing a man in an airport O.J. Simpson took an uncredited role in the 1987 movie Back To The Beach. O.J. 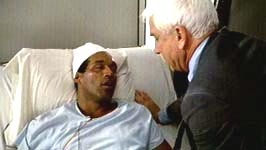 Simpson has been in all three of the Naked Gun movies, the first one was The Naked Gun: From The Files Of Police Squad! Then came The Naked Gun 2 ½: The Smell Of Fear, and the last one Naked Gun 33 ⅓: The Final Insult. A TV favorite O.J. Simpson has been on several made for TV movies including Roots, Goldie And The Boxer Go To Hollywood, and A Killing Affair. Simpson was convicted of armed robbery and kidnapping in Las Vegas, 13 years to the day after a Los Angeles jury found him "not guilty" of murdering his wife, Nicole and a waiter, Ronald Goldman. O.J. 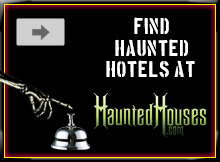 now resides at Lovelock Correctional Center in Lovelock, Nevada. 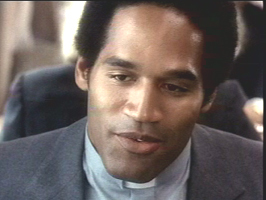 OJ Simpson in The Naked Gun 2½. O.J. Simpson in The Cassandra Crossing (1976).